Researchers at the Universities of Hartford and Connecticut and funded in part by NIBIB, created an innovative, inexpensive biosensor to detect HER-2, a breast cancer biomarker in the blood, allowing for a far less invasive diagnostic test than the current practice – a needle biopsy. The new technology, which is a combination of microfluidic technology and diagnostics, such as electrochemical sensors and biomarkers, can deliver results in about 15 minutes. 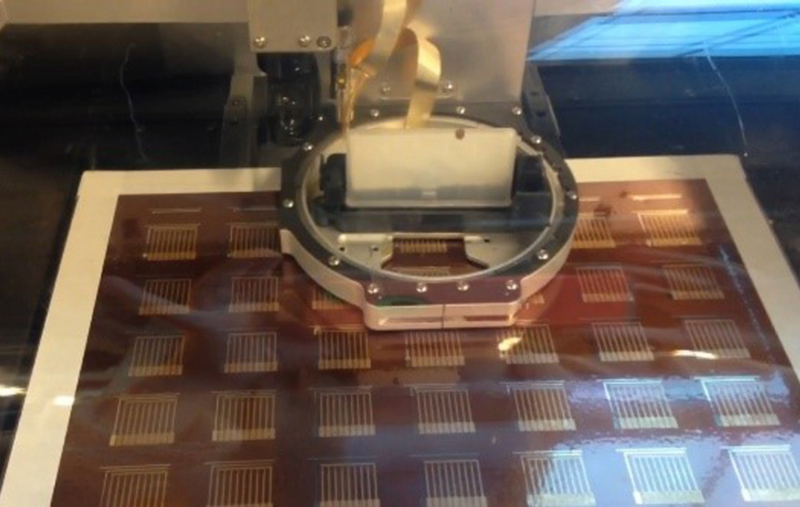 To make the biosensor chip, the researchers relied on using an inkjet printer, which layers nanoparticle inks onto a plastic surface to create an array of electrodes. The chip works in conjunction with a microfluidic device that controls the flow of the blood sample through the chip, and after the blood is passed through, a special liquid is injected and an electric current passed through. The antibody captures and immobilizes HER-2 proteins found within the sample. Colleen Krause, Ph.D. and James Rusling, Ph.D., designed this biosensor to measure levels of the protein Human Epidermal Growth Factor Receptor 2 (HER-2), which when found at abnormal levels indicate a specific breast cancer type. Knowing the type helps determine treatment, reports NIBIB. Normally, clinicians use mammogram or ultrasound, followed by an invasive needle biopsy, where tissue or fluid is removed from the suspicious area, to diagnose breast cancer. After examining the removed fluid or tissue under the microscope, clinicians identify specific biomarkers to determine breast cancer type, which help them to develop a treatment strategy. 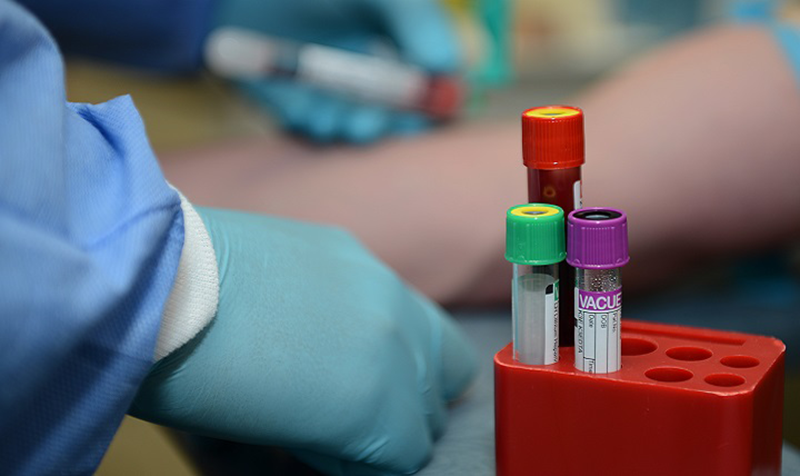 With the advancement of medicine and biosensors, scientists envision clinicians testing multiple biomarkers to achieve a more accurate diagnosis. The new biosensor is versatile and can be modified to detect multiple biomarkers in the blood. Researchers are now working to decrease the size of the device. They plan to use printed circuit boards to build a portable electrochemical unit that can fit into your palm. They also believe it’s important to collaborate with medical community to get input on the design of this new technology.